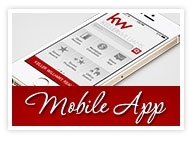 Voted the "Most Innovative Real Estate Company" by Inman News, Keller Williams¿¿ Realty takes a different approach, one that is built on personal touches, a professional approach and positive results. 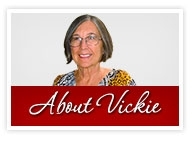 Vickie Polston utilizes the latest technologies, market research and business strategies to meet your expectations. However, more importantly, we listen and that means we find solutions that are tailored to you. 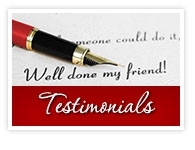 SAVING HOMEOWNERS FROM FORECLOSURE...ONE HOME AT A TIME!!! Have you lost your job? Do you have an Adjustable Rate Mortgage that has your interest rate so high you can't make your payments? Are you going through a divorce or separation and can't pay your house payments? Are you currently behind on your house payments? Are you considering bankruptcy? Have you been served a pre-foreclosure notice from your mortgage lender? I want to welcome you to the site that could very well be the answer to your foreclosure nightmare!! A Short Sale occurs when a mortgage company agrees to accept less than what they are owed for a outstanding loan. Mortgage companies would rather agree to a Short Sale than foreclosure on the home. A Short Sale allows a homeowner to sell a home even if he owes more than the home sells for. In most cases first mortgage holders will forgive the unpaid balance. DO YOU CURRENTLY OWE MORE ON YOUR PROPERTY THAN WHAT IT'S WORTH??? If you can no longer affort your mortgage payment, and owe more than you can sell it for, you may be able to walk sell it for less than you owe, and have the lender forgive the difference! You can get out from under a mountain of debt that you can no longer afford and get a fresh start. WHAT ARE THE ADVANTAGES OF A SHORT SALE??? *** Potentially Walk Away from Your Hoome With No Debt and No Tax Consequences - consult with your tax professional to understand the details of your situation. Unlike some companies, we charge absolutely nothing to the homeowner. We are paid by the lien holder or the bank if there is a successful closing. Current Fannie Mae guidelines allow someone who has participated in a Short Sale to qualify for a new mortgage within 24 months. A foreclosure could prevent you from qualifying for a loan with a competitive interest rate for 7-10 years. Can I Short Sale if I missed or am behind on my payments? Can I Short Sell if I already received a foreclosure notice? Yes. The lender may postpone the foreclosure sale to give you time to complete a sale to a qualified buyer. Can I Short Sale if I have been denied for a modification? Can I Short Sale if i am in the process for a modification? Why would a lender agree to Short Saleand take a loss? It takes time and money to foreclose a property. After the lender pays the attorney fees, court costs, and recording fees, they own the property and have to maintain it until sold. That means they pay for insurance, property taxes, and lawn care etc. If they can work with the homeowner to sell the home without foreclosing, they save thousands of dollars and a lot of time. It is very rare that the lender will sell a property for more than what the house could sell for in a Short Sale. If you are reading this and you know you are about to start missing payments please contact me. The sooner you get your home listed the more time I have to get offers that meet the banks goals and save you from the foreclosure. 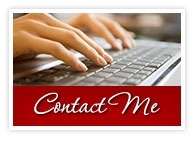 If you know of someone that is having difficulty making their payments, be a friend and tell them about my services.